APSCUF is the national leader in protecting and advancing faculty rights. The APSCUF/State System of Higher Education collective bargaining agreement guarantees bargaining unit participation in the hiring, tenure, and promotion processes, in sabbatical leave determination, and in curricula decisions. Our latest contracts are below for your convenience. Click here to download a PDF of part 1 of our retrenchment Q&A. Click here for part 2 of our retrenchment Q&A. APSCUF and Pennsylvania’s State System of Higher Education in fall 2017 tentatively agreed to a new contract that would run through June 30, 2019. The agreement will take effect at the conclusion of the current contract, which expires June 30, 2018. After APSCUF faculty voted Nov. 13–15, 2017, in favor of ratifying the one-year agreement, the Board of Governors ratified it Jan. 25. 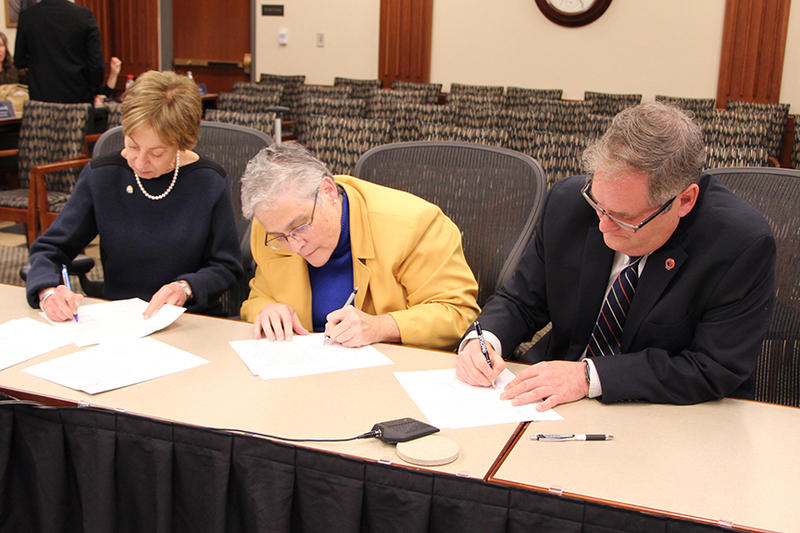 Click here to view a PDF of the one-year agreement.